I think everyone should be able to make a decision (to make a decision / to take a decision). Many of us are showing slight hesitation (slight hesitation), long doubtful (have second thoughts), or postpone a decision (put off making decisions). Sound judgment (sound judgement) and wisdom (wisdom) — the main assistants to decide (to arrive at a decision) to do something. The main thing — do not miss an opportunity (an opportunity of a lifetime), to consider all options (consider all the options), weigh all the «pros and cons» (the pros and cons), even if the choice is hard (tough / difficult choice), and come to a decision (come to a decision). Many people who are learning the English language, two concepts confused decision and solution. What is the difference between them? It’s simple. Decision / dɪ’sɪʒən / — this decision is taken, the choice between several options. We talk to make a decision, to take a decision, to come to a decision (to decide). Clear-cut decision — a clear decision. Crucial decision — an important decision. 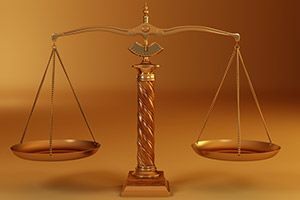 Fair / just decision — a fair solution. Final decision — a final decision. Firm decision — a firm decision. Hasty / rash / snap decision — a hasty decision. Unfair decision — an unjust decision. Solution / sə’lu: ʃən / — is the solution to the problem, issue or problem that we find. We talk to find a solution (a solution). Easy solution — a simple solution. Ideal solution — the ideal solution. Ingenious solution — the original decision. Neat solution — an elegant solution. Satisfactory solution — a satisfactory solution. Sleep on it — to defer the decision until the morning (tomorrow is another day). It weighs up — to weigh. Plan ahead — plan ahead. Think ahead — to think, to take care in advance. Think it over — to think. I think through — to think. If you are offered a promising job, but you are not sure whether you want it or not, you can sleep on it. — If you were offered a promising job, but you’re not sure whether you like it or not, you can postpone the decision until the morning (tomorrow is another day). When you are offered a good price for the flat you want to sell, you can weigh up the pros and cons or to run it by your family or close friends. — When you were offered a good price for an apartment, you want to sell, you can weigh the «pros and cons», or consult with your family or close friends. It is unreasonable to pay rent and live in a flat, plan ahead and start saving up to buy it. — It is unwise to pay rent for an apartment, plan ahead and start saving money to buy it. My parents recommend me to think ahead over the future and imagine my life in 5 or 10 years from now. — My parents recommended me to think in advance about the future and imagine your life in 5 or 10 years. When your acquaintance offers you to invest all the money you have in a company they have started, you should think it over and tell them about your decision later. — When your friend offers to put all your money into the company, which he founded, you should consider this and communicate its decision later. You can also think through the possible risks and consider probable consequences. — You can also consider the possible risks and to consider the likely consequences. If you do not understand all of the videos, I advise you to watch this video again, reading the transcript here. I hope that in this article you will find something useful to express their thoughts in English. Of course, not all that easy in the decision, but, whatever it was, it’s your choice. And let it opens the way to the right decisions and other happy events in your life.